This game is part of my(ceoff) special Halloween series. Made on Halloween day it's self. 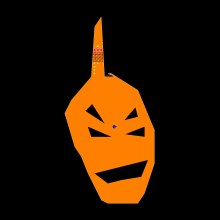 more the games from my series, are, hanted house getaway Hal.2 And for more games from that series, just look for the Hal.# Well the real meaning of this one, is Halloween, and the day before, Halloween, I did a pumpkin all by myself! Carved, traced, emptyed it! I'm only 8!